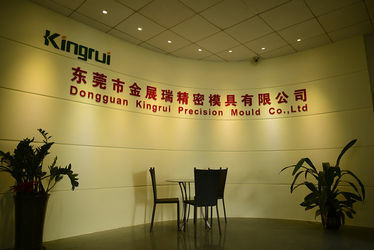 Dongguan Kingrui Precision Mould Co., ltd was established in 2005. 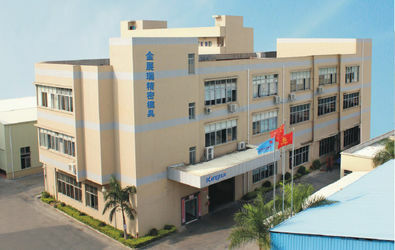 It is a middle-size tooling parts manufacturer in China, mainly serving for plastic injection mold and industrial cutting tools, acrossing automotive, aviation, medical, ,electronics, electrical connector industries. 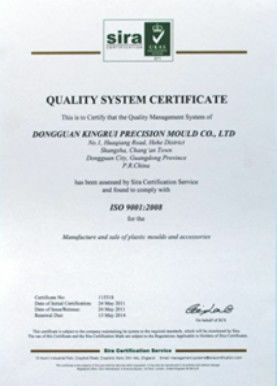 As an ISO9001: 2008 certified factory, Kingrui is committed to quality and each detail throughout the processing. 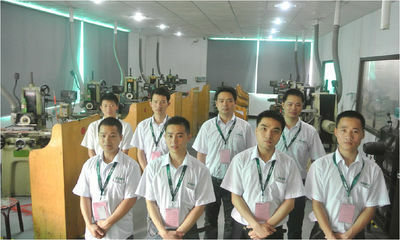 Our facilities are equipped with the most advanced technology in the tool and mold industry today. 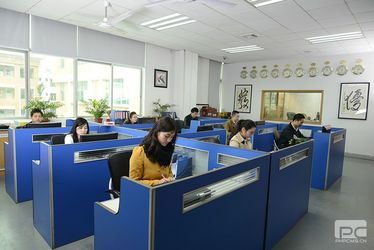 Based on serious and rigorous attitude, we are cooperating with more than 500 customers worldwide, such as the USA, Japan, and Europe. We will keep the spirit of skilled craftsmen to provide precision, professional mold parts and cutting tools for our clients. Kingrui plastic injection mold manufacturer is dedicated to supplying the topest quality, tight tolerance contract plastic injection mold parts. We well recognize that the performance and quality of our mold parts would have a powerful effect on our clients’ performance and fame. Subsequently, we try to ceaselessly enhance our performances so as to supply helpful, risk-free and punctual mold tooling that always satisfy the performance & delivery demands made by you, our win-win business partners. 2006.09 Introduced Sodick mirror discharge machine. 2010.05 Introduced Mitsubishi mirror discharge machine. 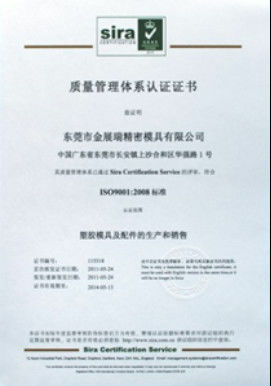 2010.08 Passed ISO 9001:2008 certification. 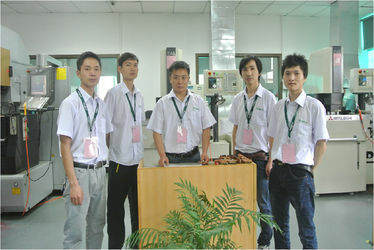 2013.05 Introduced FANUC CNC Equipment. 2013.12 3th-6th, Dec Euromould in Frankfurt. 2013-2014.09 17th-19th, Sep Asia mould Fair. 2015-2016.06 China Shanghai International Mold Exhibition [DMC]. 2017.09 Purchased 2 Japan Nikon height gages. 2017.11 Introduced 2 projectors for digital measuring instrument. 2018.01 Bought 1 Japan Sodick super-mirror discharge machine and an CNC for electrodes making. - For plastic automotive, eletronic, eletrical, medical, aviation molding industry. Precision grinding with tolerances down to 1 microns; precision Sinker EDM with feature sizes down to 3 microns; Standard and Micro Wire EDM with wire sizes from 0.0120" down to 0.0008". in all, Micro Manufacturing with feature sizes as small as 40μm & tolerances down to 1 micron. Sales Department 3 Mainly responsible for connection with customer business and market expansion. 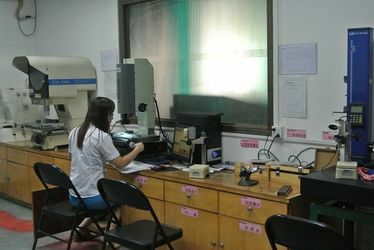 Production Department CNC 8 Precision machining, CNC machining lathes, CNC processing and milling machines, CNC machining boring and milling machines, etc.